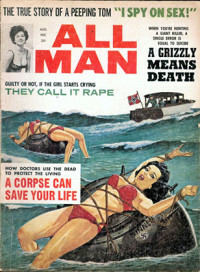 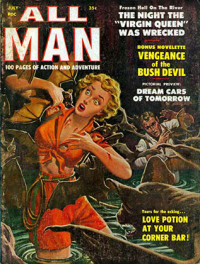 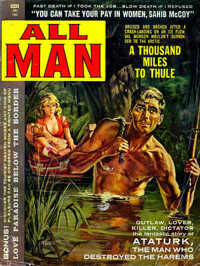 All Man was a mid-20th century men’s adventure magazine. 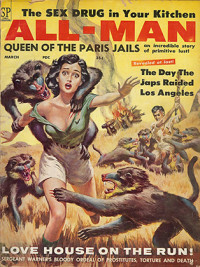 During the 1940s until the early 1970s, men’s pulp magazines frequently featured pin-up girls in lurid tales of danger and adventure, often threatened or tortured by Nazis and in need of rescue. 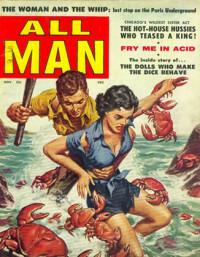 These magazines were frequently referred to as “armpit slicks” or “sweats” in the publishing industry.